We bring to you the benefits of a thousand year old medical tradition. The world owes the miraculous healing science of acupuncture to traditional Chinese medicine. Essentially, the practitioner approaches your physical discomfort with an attention to rectify the blocked channels of qi flow. Also known as Chi in China, this invisible concept of a life force forms the basis of Chinese medicines and martial arts alike. The understanding of qi is surreal because modern science cannot interpret the concept, but the applications are highly practical in purview of the amazing healing benefits of the alternative medicine practice. The trained specialist identifies the restricted flows of the life force which disrupt your bodies’ homeostasis and unlocks them simply by piercing needles in a precise location on the skin. Contrary to what you may think, the experience is usually relaxing instead of painful. Nevertheless the skepticism of the modern scientific community, the extraordinary (and almost instant) healing evidences of the methods is causing the community to interpret the ancient with modern diagnostic instruments. Any drug free treatment goes straight against the notions of western medicine. Research finds the stretching of connective tissues via the needle application unlocks a series of cellular cycles ultimately leading to the release of ATP in the extracellular space. This actual unlocking of cellular energy proves beyond doubt the efficacy and existence of the qi. Our Acupuncture specialist can handle a diverse range of health conditions including pain treatments of all kinds. The method is highly effective in treating anything from neurological pain symptoms such as headaches to physical symptoms such as arthritis. Modern science confirms that placing the needle at the accurate position and gently rotating it (by a trained hand) virtually delivers a neurological boost, literally unlocking the natural healing powers of the body. The diagnosis system used is similar but also somewhat different than traditional western methods. We rely more heavily on studying the different symptoms that manifest the status of the invisible chi energy. The diagnosis system at our Acupuncture Calgary NW clinic also involves understanding your overall lifestyle parameters to determine the extent of blocked meridians and blood flow in your body. 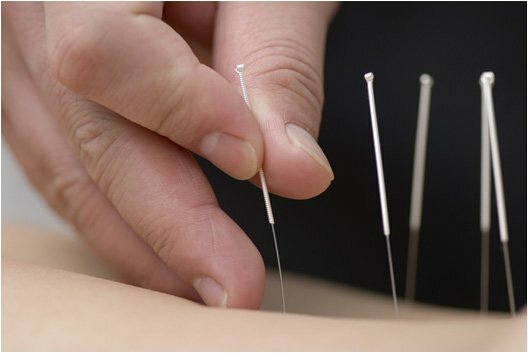 Traditional Chinese medicine identifies twelve meridians in your body and specifies 365 unique points across the body to place the needles. The Chinese compared the 12 meridians with the twelve rivers of their land and the needle points symbolic of 365 days in a year. Essentially, it may imply that a session of acupuncture can condense the same healing results in a single session that you may get from a year of conventional treatment. It may seem like a far-fetched metaphor, but we can always provide you with references from healed patients at our center.